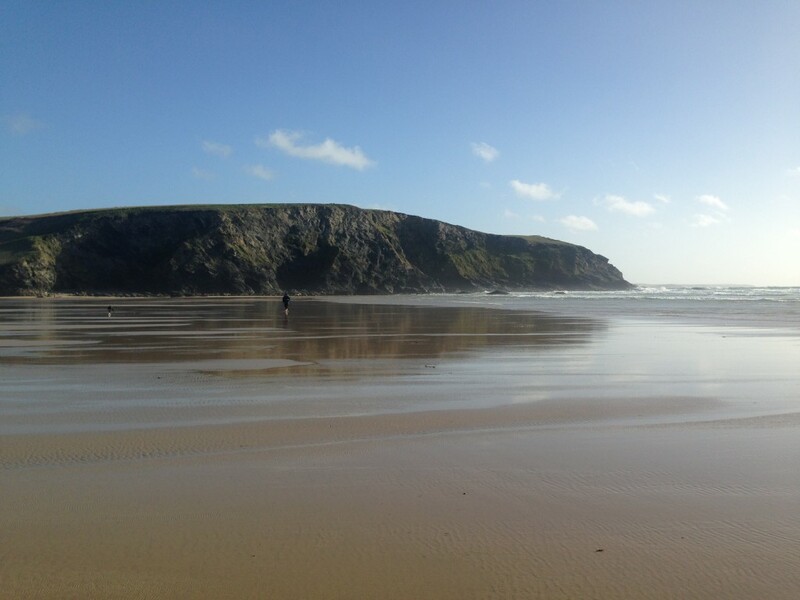 I’m writing from Green Ocean, our home-from-home, a holiday let overlooking the sea in Mawgan Porth, Cornwall. Outside is a cacophony of bird-song as crows, blackbirds, gulls and others besides try to outdo each other in the pink evening light. The outgoing tide has left a silver sheen on the sand and the sky is streaked with violet and orange. 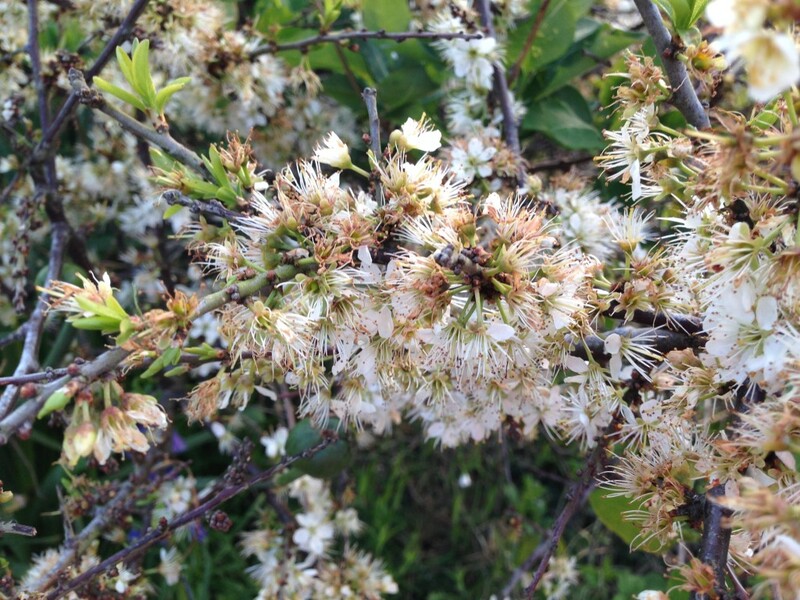 It is the first week of May and we are held in the very cup of the year; the natural world is undeniably awake. Time then for that traditional festival marking the end of winter and the start of summer, the May Day holiday. 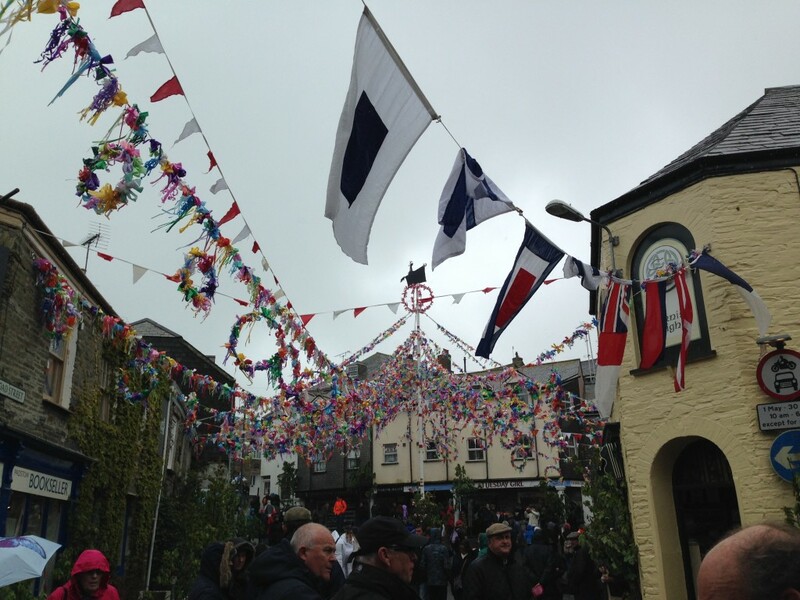 On Monday, despite the drizzle and chill, Padstonians celebrated with their traditional Oss dance and the town was bedecked with flags, flowers and lots and lots of visitors. 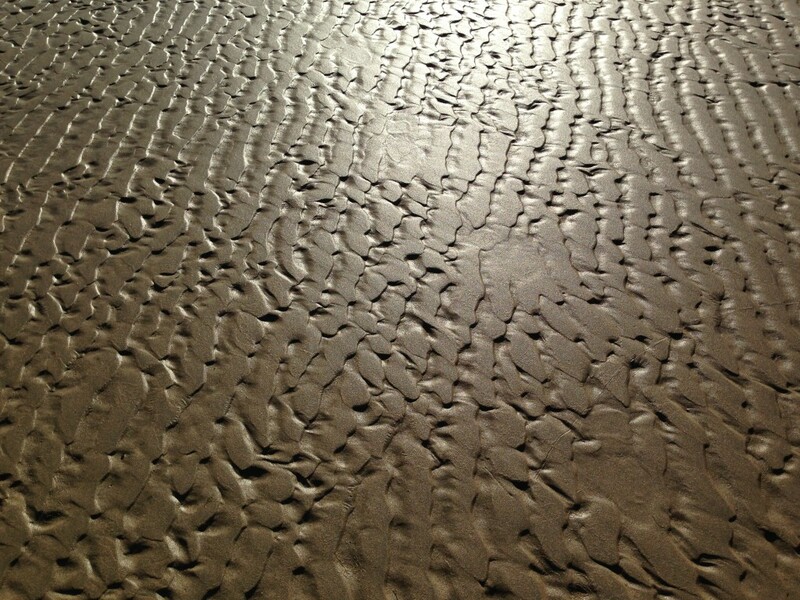 Within a few steps of Green Ocean there is the sea, an ever-moving landscape that draws one back to the present. We’re both working on this ‘holiday’ and I react to it badly, feeling work’s grip even on supposed down time. How good then to look up and see the sea, the birds and the wildflowers and be reminded that life is what happens away from the computer. The Cornish roadsides and cliff-tops are awash with wild flowers. 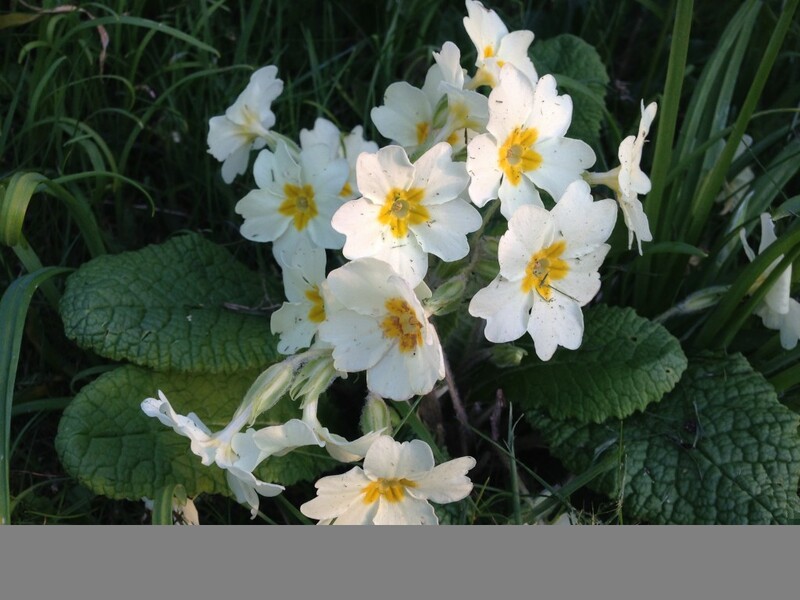 Some, like the primroses and daffodils, are the hangers-on from our late spring. 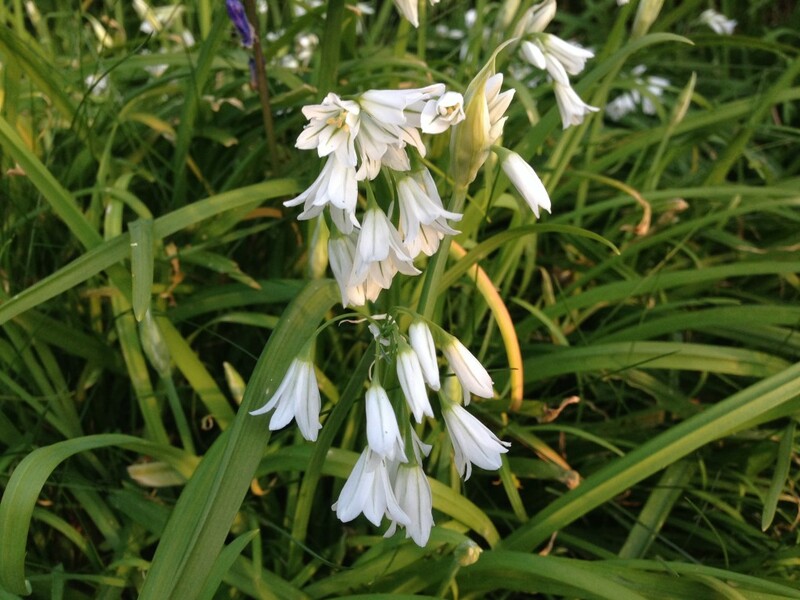 Others, like the dog violets, dead-nettles, buttercups and bluebells, mark the start of summer. I love their presence and it reminds me how much I miss, living in the city. 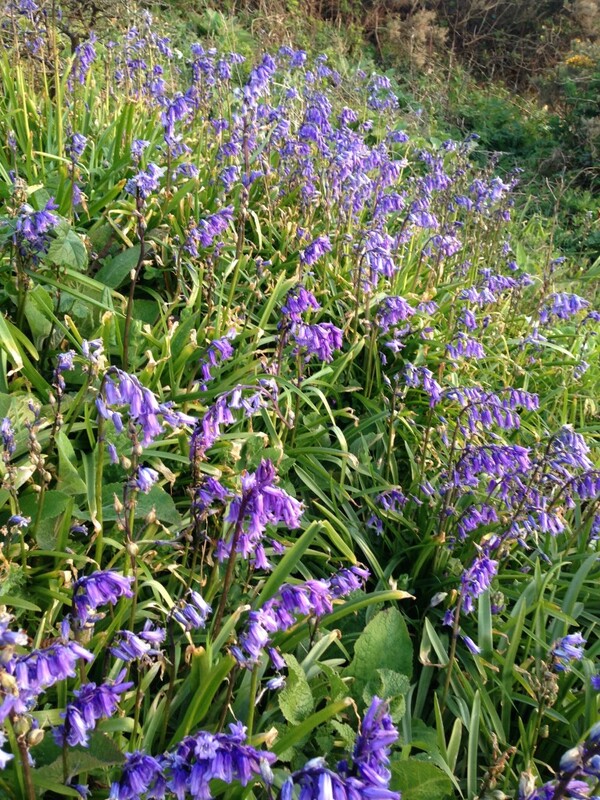 May flowers near a Cornish beach, one of life’s simple pleasures. This entry was posted in Uncategorized and tagged Padstow may day. Bookmark the permalink. 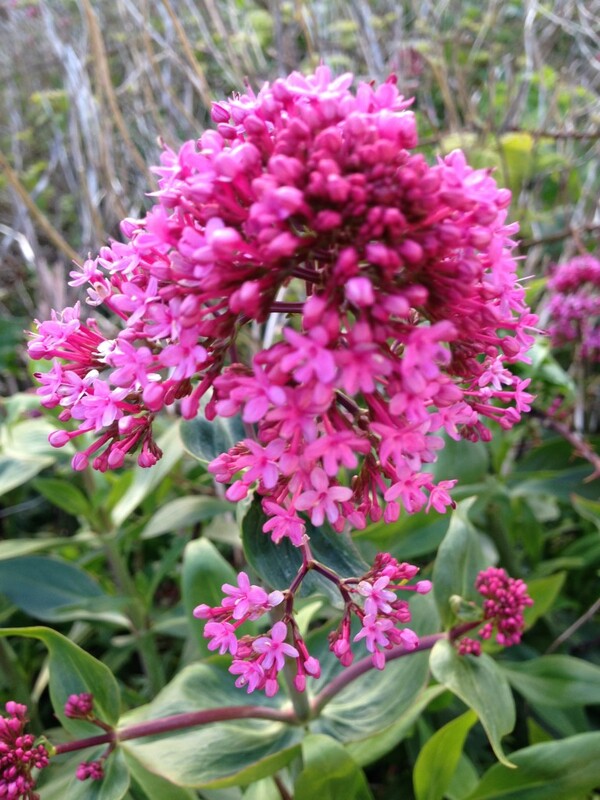 It’s valerian, we have it all over the our garden like a weed, David hates it! Could the plant be a euphorbia?